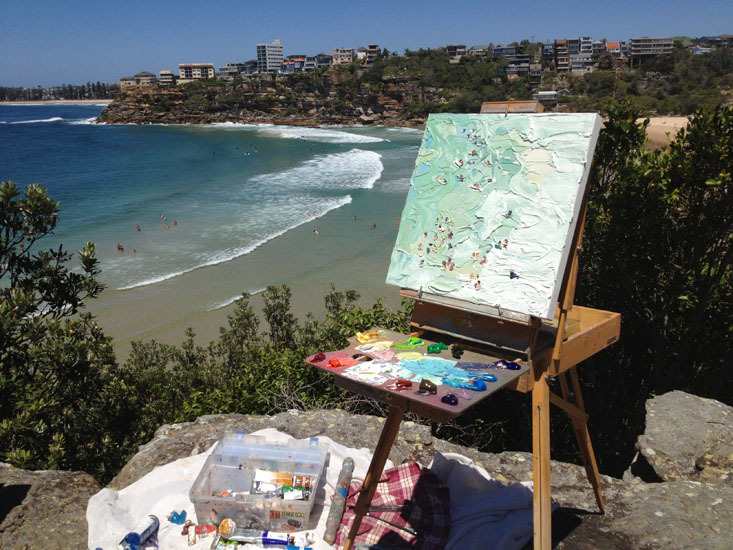 Sally West regularly visits Australian Beaches to paint en plein air. 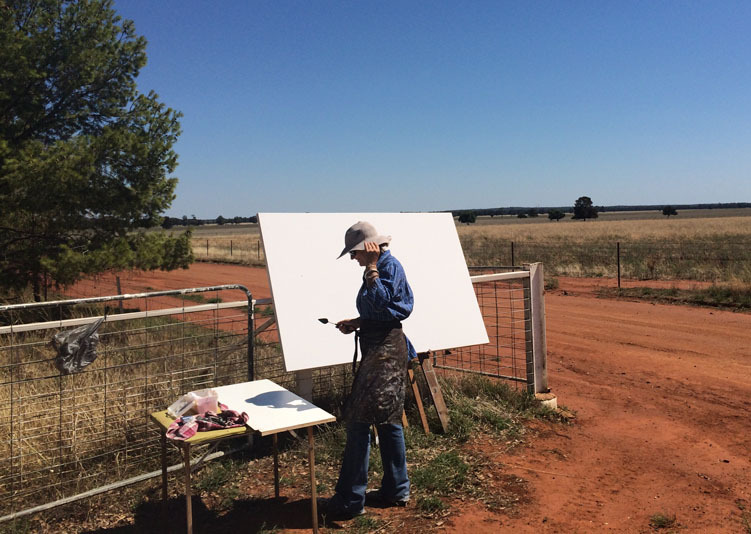 Throughout her art career she has worked to perfect the process of plein air painting – painting in the outdoors on location. This is an artform that Sally West is constantly fine tuning as she adapts to exciting new coastal locations, viewpoints and weather conditions. 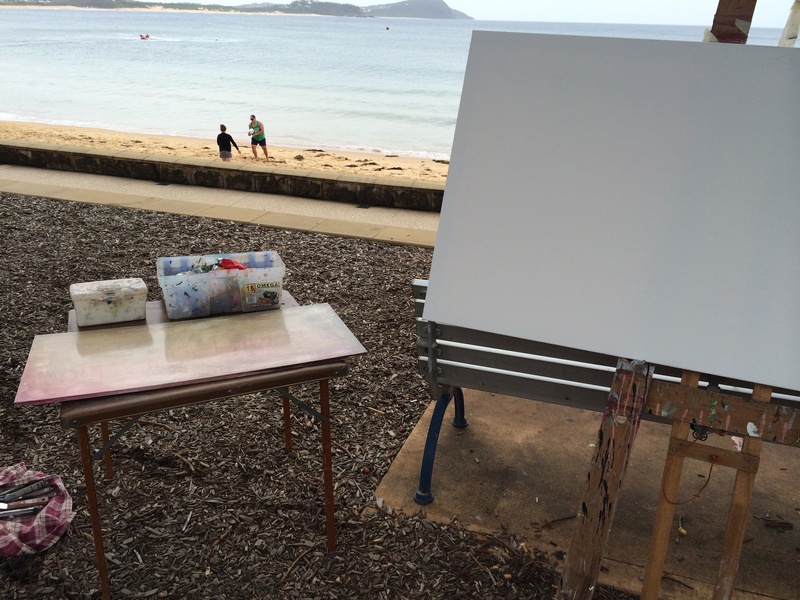 Initially her eyes and easel were focused at the iconic Freshwater beach (colloquially referred to as “Freshy”). 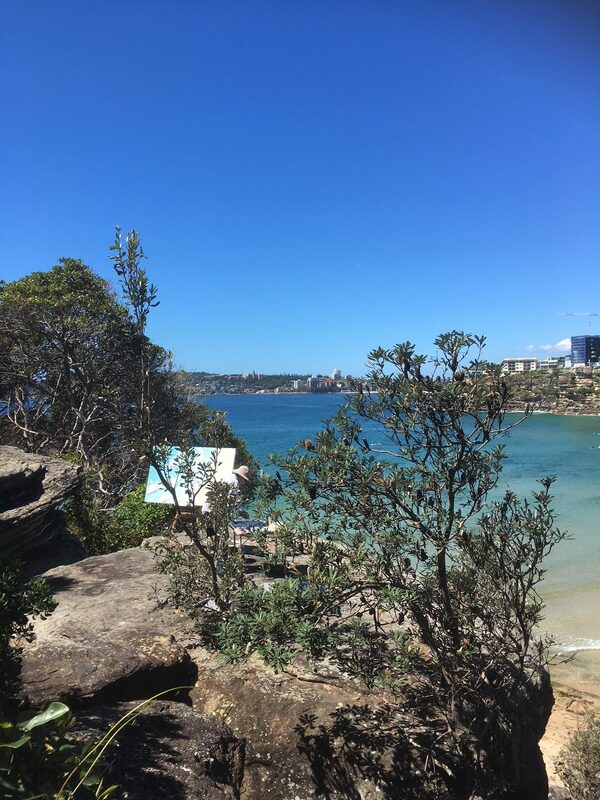 Well-known for its great waves and white sandy shore, this beach is located in Sydney’s Northern Beaches area on the east coast of New South Wales. 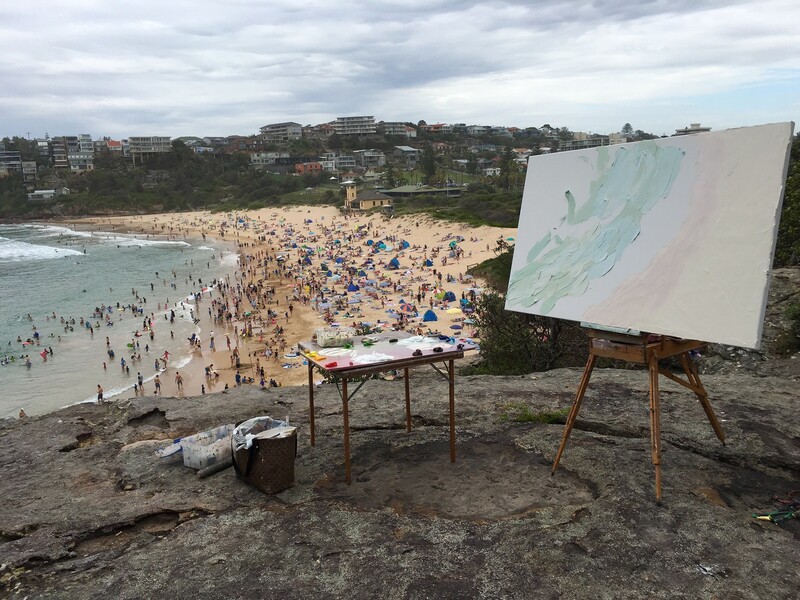 It made the perfect location for Sally West to paint the surfing subject! While this was a great location for several summers, Sally has been heading to various other exciting beaches to further develop the beach series. She says “I love painting the various coastal aspects, it’s a fun challenge”. Throughout last summer I was fortunate to join Sally West on some of her beach paint-out days. 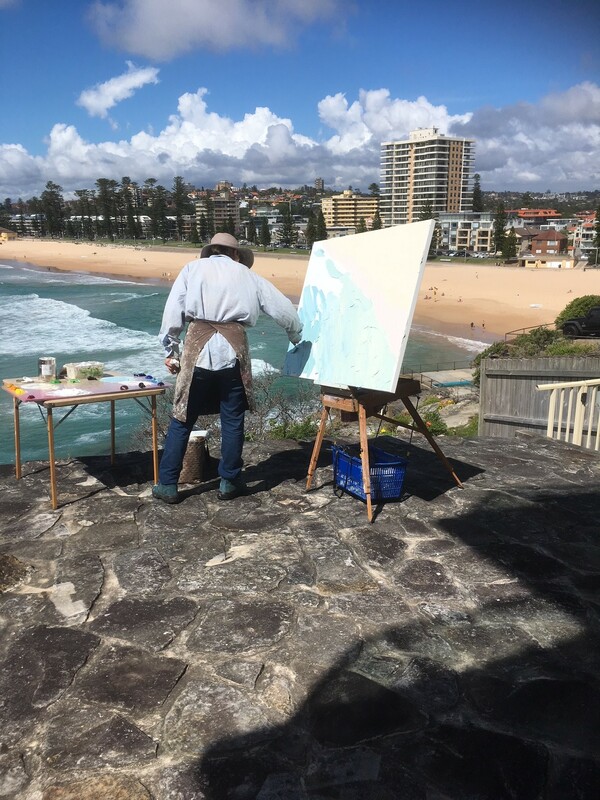 It was amazing to observe first-hand her unique and special painting technique as well as learn all about the significant planning work involved in preparing, researching and facilitating an en plein air creation! Each day was a carefully planned and organised well in advance, and only confirmed early each morning depending on the final weather reports. Wind, tides, midday temperature highs and afternoon lows all came into consideration before we even picked up the car keys. One day we almost cancelled due to a potential rain forecast but decided to risk it in the end – just as well because not a single drop fell and conditions were perfect! In addition to these weather concerns there are accessibility, safety and of course viewpoint issues to consider. 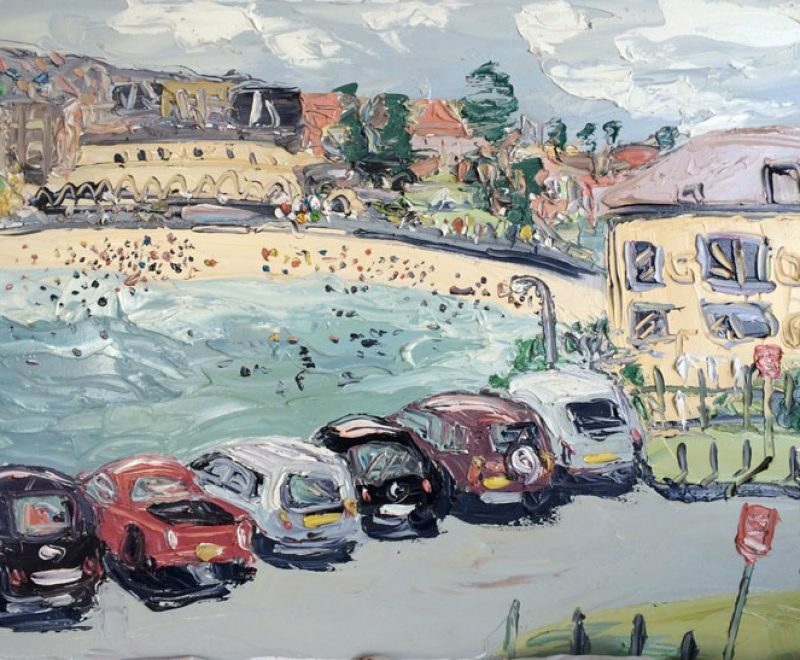 The very basis of the general composition is established by the shorelines, perspective, the tidal positioning of the surfers in the waves and swimmers enjoying the beach between the iconic Australian surf life saving flags and patrol. Then there is the organic elements based on the clusters of sunbaking beachgoers, swimmers and water swells and currents. It’s mind boggling to imagine how Sally West plans out commission paintings with all of these crucial elements to consider! 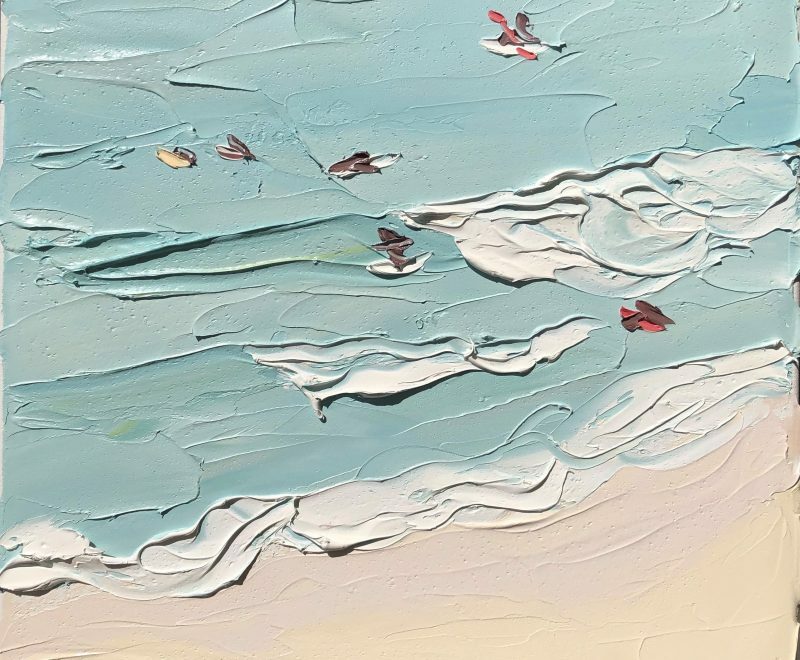 This artwork was created on the day of Sydney’s biggest heatwave – summer of 2016 was a big one! 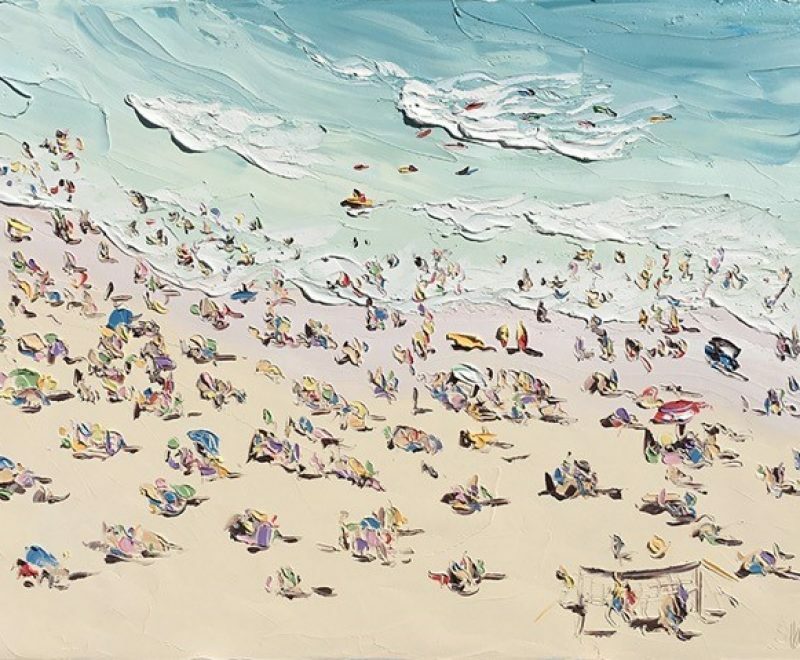 Sally West seized the opportunity to paint such a unique crowd and beach ambiance. 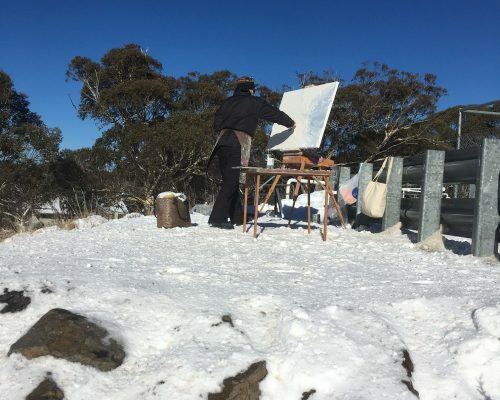 As a skilled and experienced en plein air painter she was prepared to avoid heatstroke. 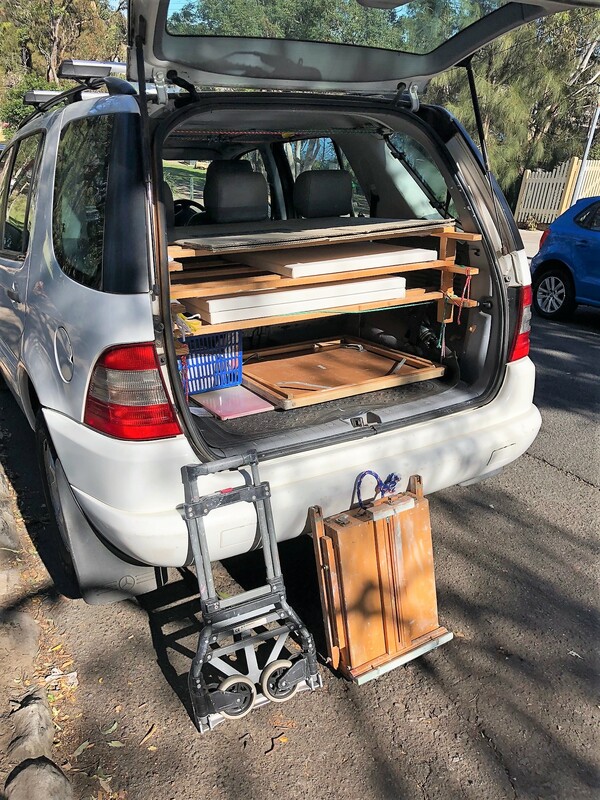 Alongside the environmental concerns when preparing to paint en plein air, there is the fact that Sally West needs everything an artist would typically have at hand in their studio ready and available for her to use on-site. This is what perplexed me the most! The carefully considered kit of art essentials neatly and systematically packed into cases and baskets with her easel, palette knives, fold up tables, palette, trolley, bottles of water and a packed lunch, camera, 50+ UV sunscreen supply, cleaning materials as well as her giant 1 metre x 1.5 metre canvas (with several smaller ones in case winds were stronger than reported) all ready stretched and primed for lashes of her oil paint. Her clothes were carefully considered too – fully covered in tightly woven cotton (a habit learned living in harsh Australian rural conditions), hat, sunglasses, boots for trekking through various scrub and terrain for the perfect birds-eye viewpoint. On arrival at the planned viewpoint it was time to set-up the easel and secure the canvas (there could be nothing worse than losing a canvas over the cliff edge!) 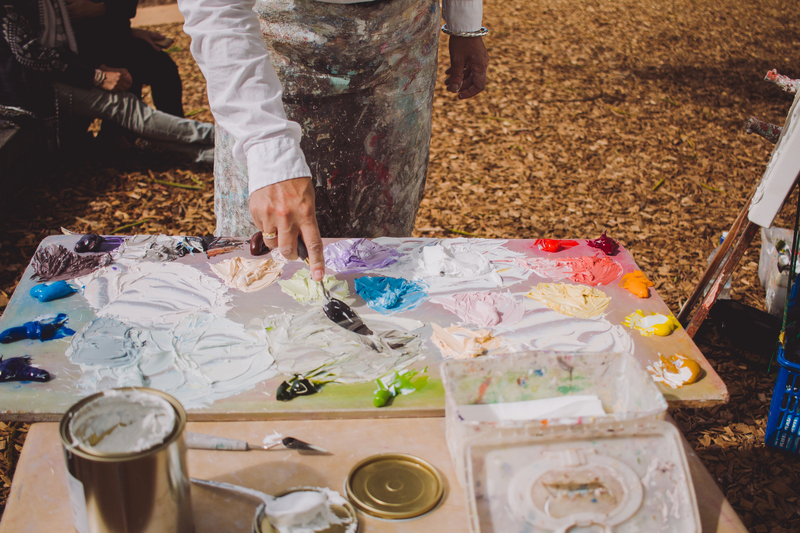 Once her equipment was set up she began mixing the paint supply into the perfect hue and tone. She is a perfectionist and constantly looks up at her landscape subject ensuring the colours were true and correct throughout the process. Finally the first stroke is smeared across the canvas forming what would be the shoreline edge of sand. Each time I watched Sally West work this was her first step. 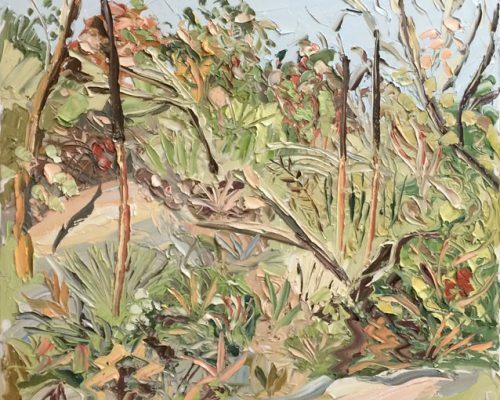 It was completely obvious that with all of her years of experience as a plein air traditionalist, she has managed to train herself to work with complete focus and confidence. Her base colour blocked across the canvas set the perspective and ambiance of the painted scene, but the painting really took shape much later in the day. 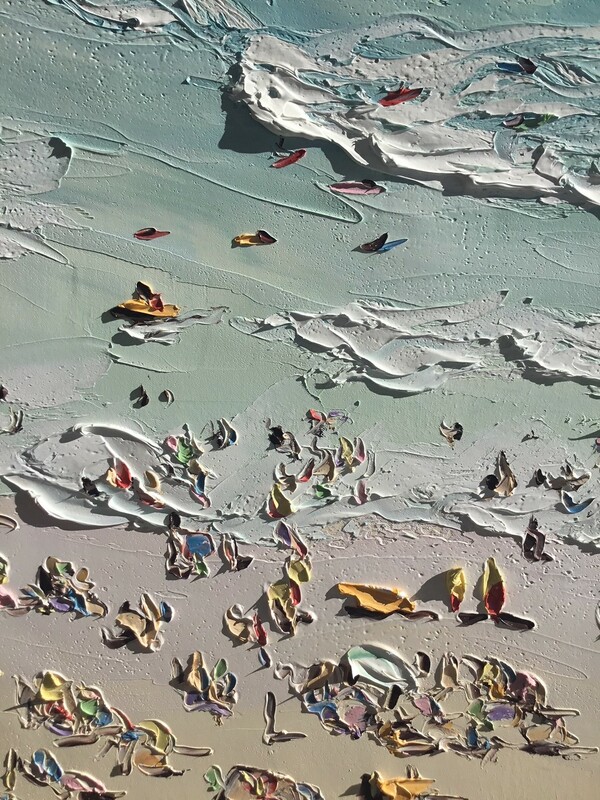 With several more layers of thick oil paint using a difficult and skilled method of wet-on-wet layered painting the landscape appeared with detail. It was so specific to what was before us in the landscape, I could see match each sunbaker on the sand to hers in canvas so clearly. I almost wished I was out there on the sand being immortalised within this unique and captive artwork! 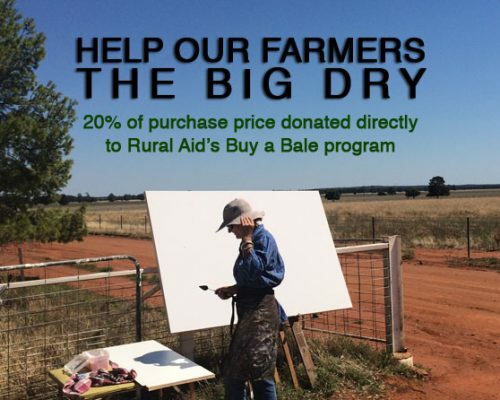 Sally worked tirelessly to complete the paintings in each sitting and didn’t pause at all throughout the day. Completion was vital! 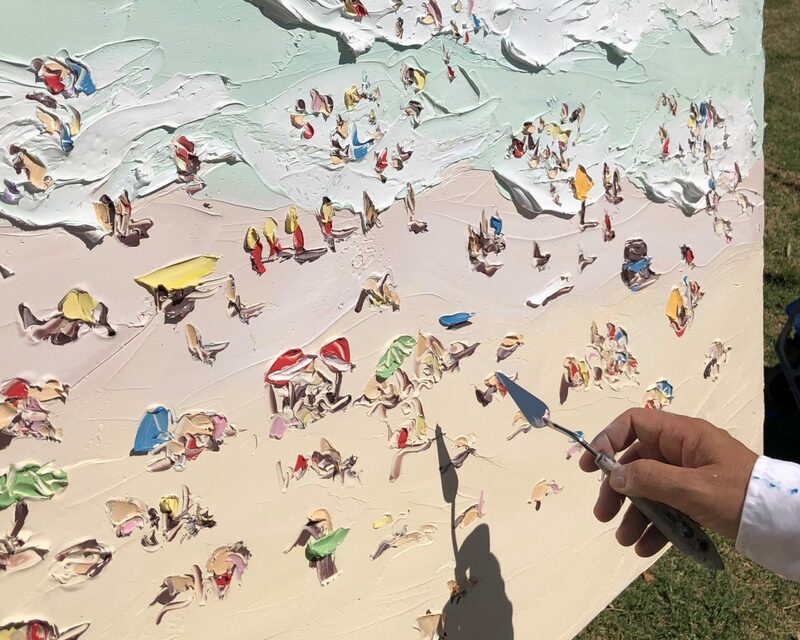 It was a treat to watch the painting take shape throughout the day – from the initial colour blocked area of sand and water to the final SW being etched into the lower right hand corner of the canvas paint. 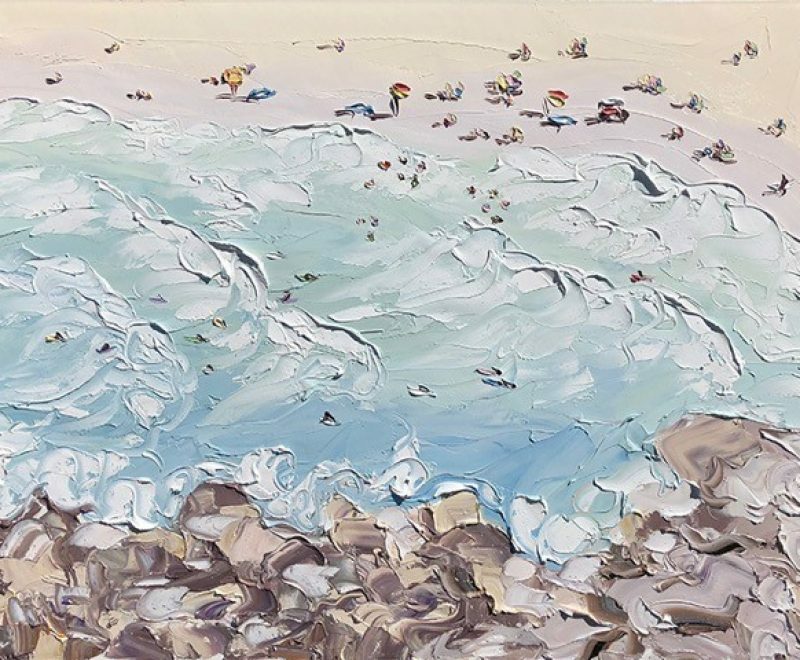 You can admire her representations of the waves breaking on a beach, pushing water towards the shoreline. 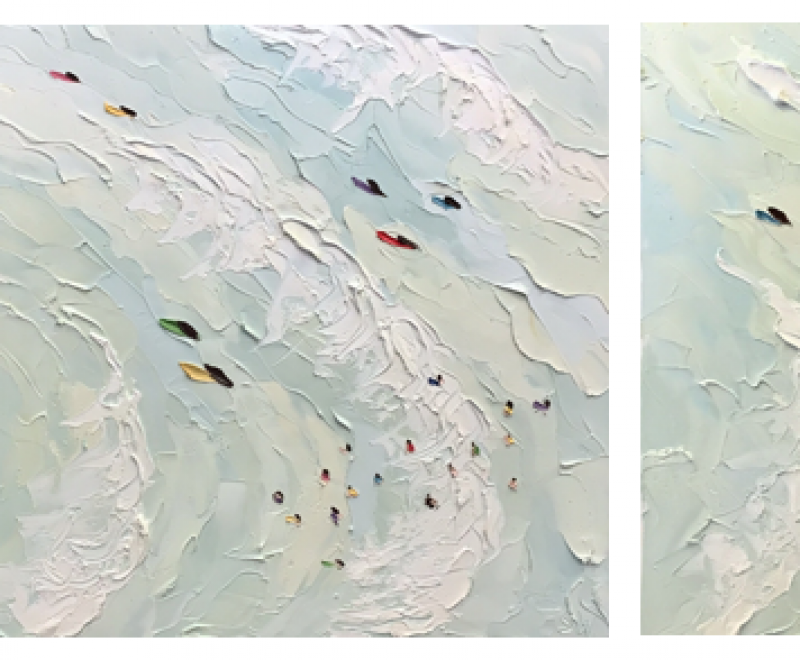 You can also see in her larger water studies the way that the water reaches the shore and finds a way back out to sea flowing downwards into deeper channels in the surf zone. 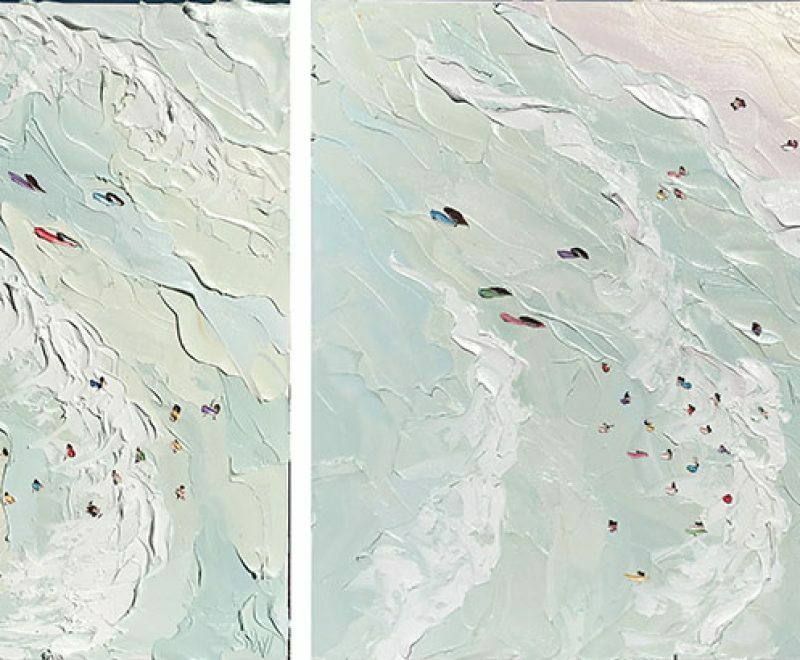 These representations appear abstract up close but from afar the water paths become clear. 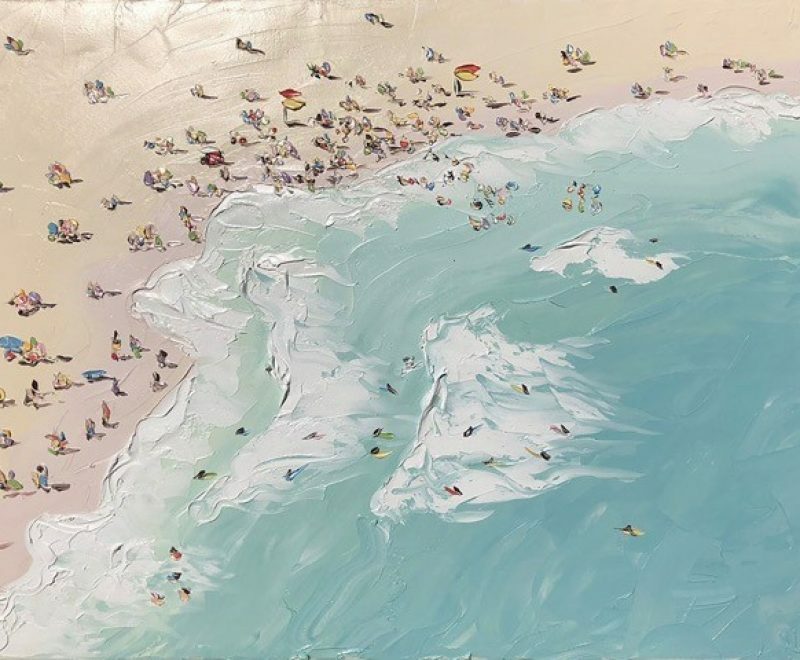 For this series, Sally West has painted beach studies in various sizes, each presenting a section of the aerial view. Canvas sizes range from 25x25cm miniatures to oversized 150x150cm pieces. All the studies can be displayed beautifully as single pieces or grouped together for a cluster hang. This popular series has been celebrated across various social media platforms for several years now, attracting international attention from the world’s top stylists and interior designers. Sally has also become a source of inspiration for artists of all kinds spread throughout the world. 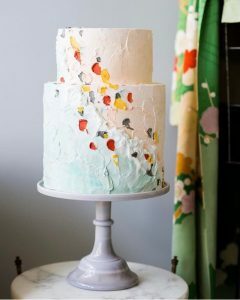 School students in Korea are learning and recreating her style as part of their art class, cake artists in Australia, UK and USA have recreated her signature style in icing on cakes, and of course somewhat sadly there are also some artists from as far afield as USA, Estonia, and Russia who are awkwardly using her style in their studio for their own. 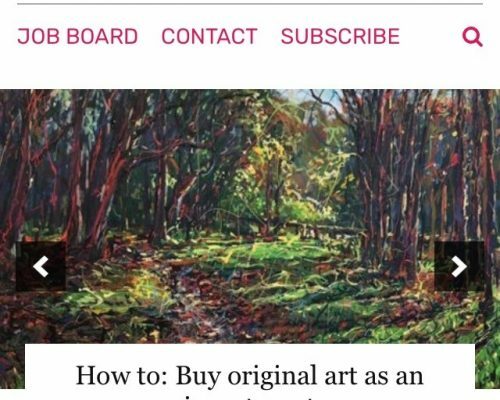 Sally loves to see how she has inspired others, but when buying an artwork it’s vitally important to choose the original and best version rather than an awkward homage. The knowledge and experience of the artist imparted into each artwork is easy to spot, and is one of the hallmarks of a quality well-made work of art which can stand the test of time. 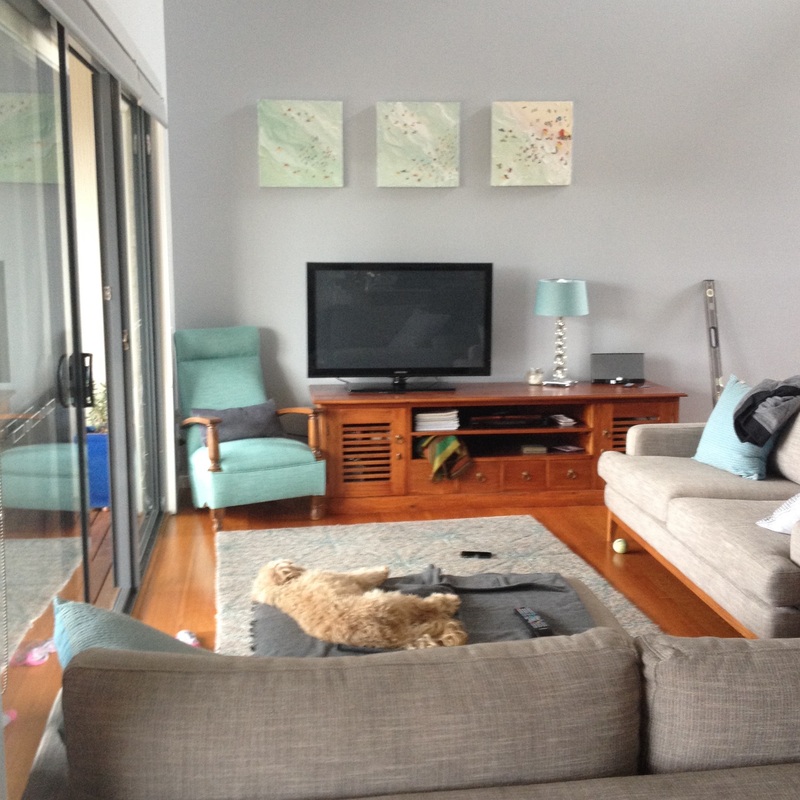 Sally’s work has become the must-have item for any contemporary interior. 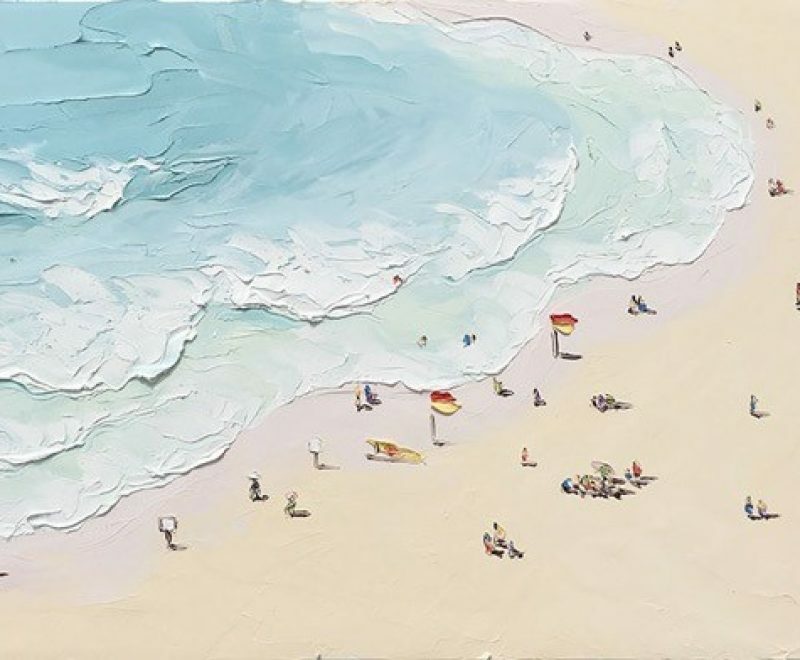 You can purchase Sally West’s beach studies online here at www.KABGallery.com, and the KAB Gallery team will package and send your artwork with the most delicate of care. 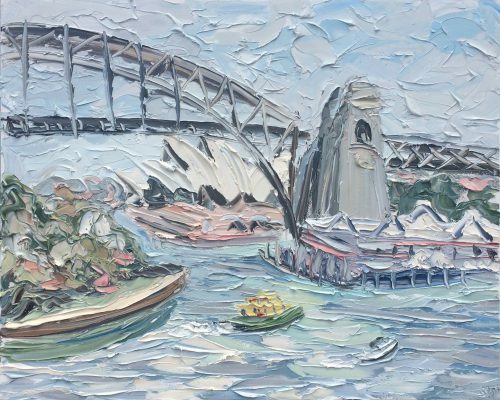 Easy domestic and international shipping options area available through the online checkout, or alternatively you can call the Gallery on 1300 78 7773 (from within Australia) or +612 4312 5114 (from overseas) for further information. 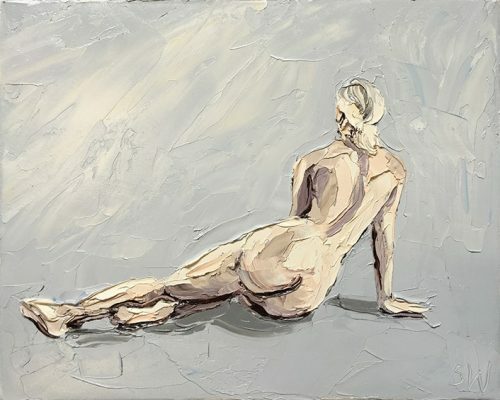 Sally West is a major Australian and International prize winning artist. 2018 is another great year of prize wins for Sally West, with additional commendations and finalist positions too. She is an Australian treasure who is internationally collected. 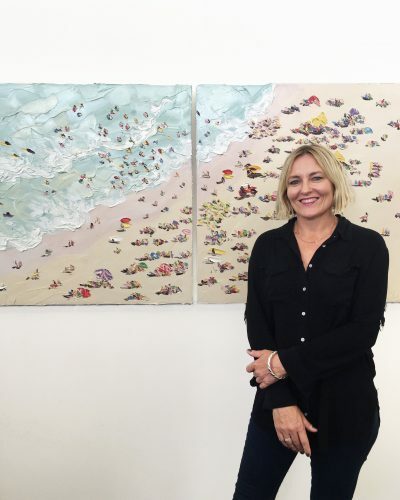 KAB Gallery’s Kerry-Anne Blanket holds a Bachelor of Visual Arts and two Masters degrees (Hons) from the University of Sydney. 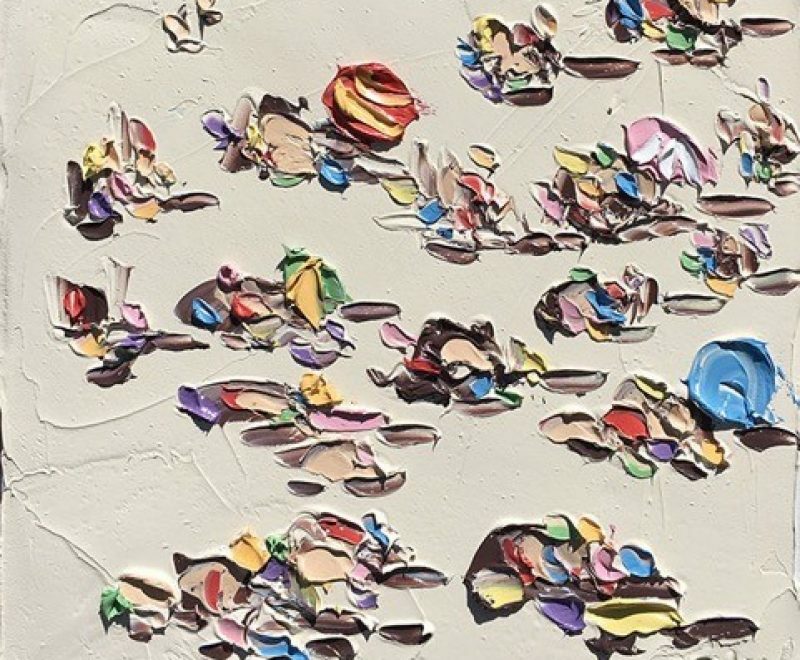 With an extensive career in art education along with the management of museums and investment art galleries, Kerry-Anne can offer premier art consulting to her clients and source specially requested works. She has a keen eye for detail, comprehensive art market knowledge and a love of all things beautiful. 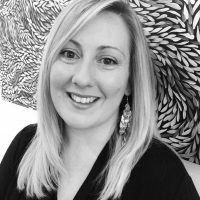 Kerry-Anne works directly with artists and collectors alike to curate interesting and eclectic exhibitions. Have you seen these articles?